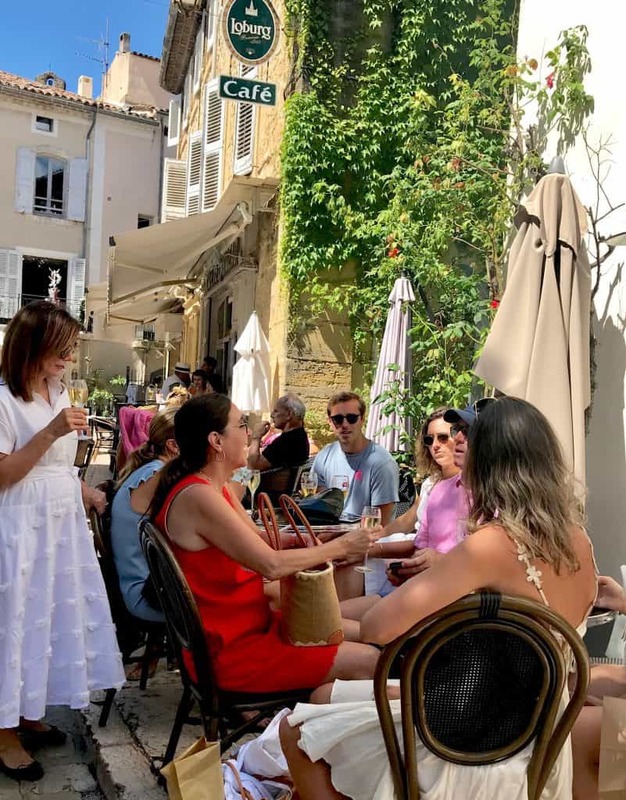 It was a memorable vacation in Provence with our group of family and friends. Still feels dreamlike! 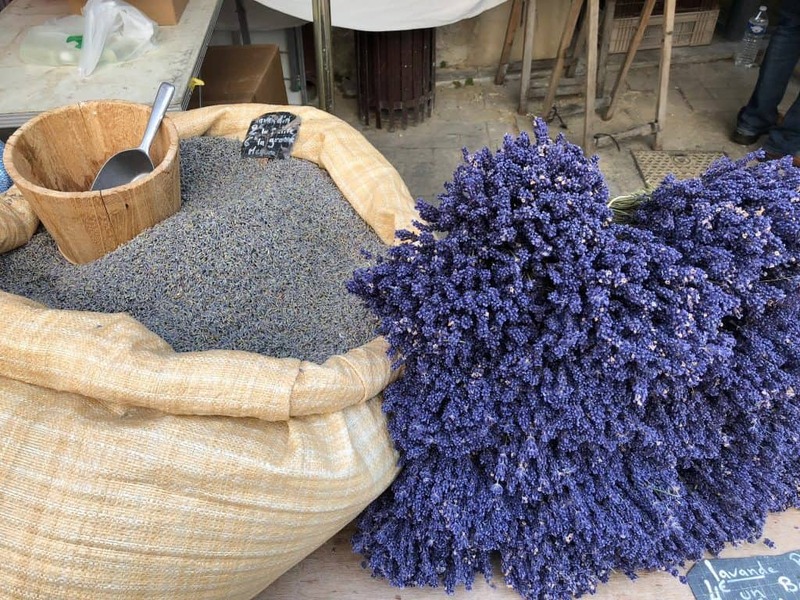 If you are going to Provence, here are three exceptional markets in Provence that we recommend. Most of these outdoor markets start by 9 am. Parking is usually difficult, so it’s a good idea to get there while they are setting up…and enjoy a coffee. Then you can meander through before it gets really crowded (which it does, especially in the summer). Isle Sur La Sorgue is the biggest and is on Sundays. There are lots of great antique shops there, too (it’s where I bought our fireplace screen years ago). It is so pretty with the sparkling river and canals. I bought the packable straw hat for me and the tote for my sister. You can tell I got up early to get there (no make-up). 2. 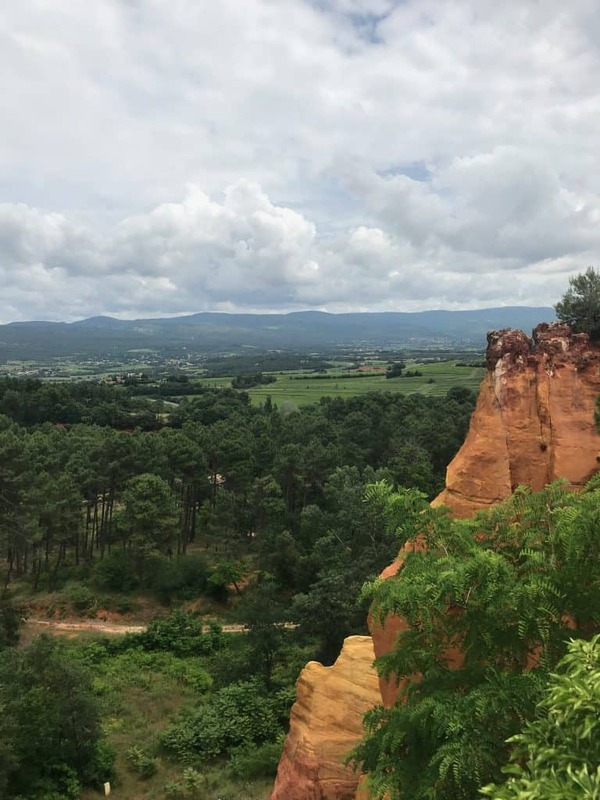 Roussillon, a hillside town runs on Thursday mornings. Look at the view! 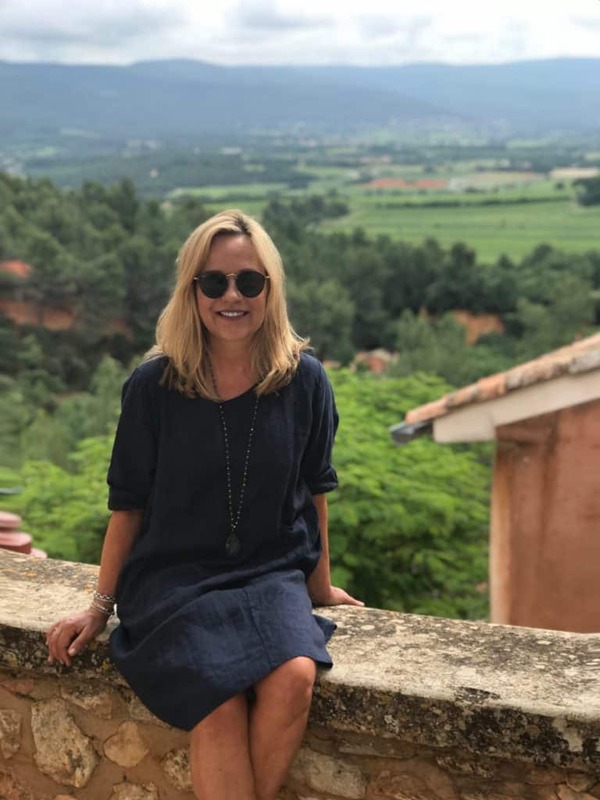 Here I am wearing a linen dress that I bought for 40 euros in Isle Sur La Sorgue. 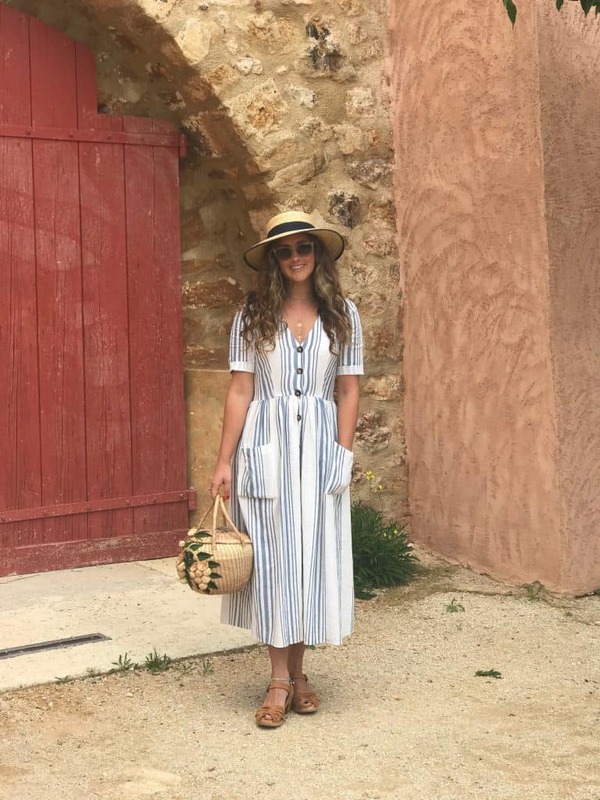 My daughter, Alie bought the hat here in Roussillon (doesn’t she look French? She speaks it, as well). We also bought soaps, salts, and herbes de Provence. 3. Lourmarin is on Fridays. I think we liked Lourmarin best (some of our group above) as the town is so charming…with lots of darling shops. 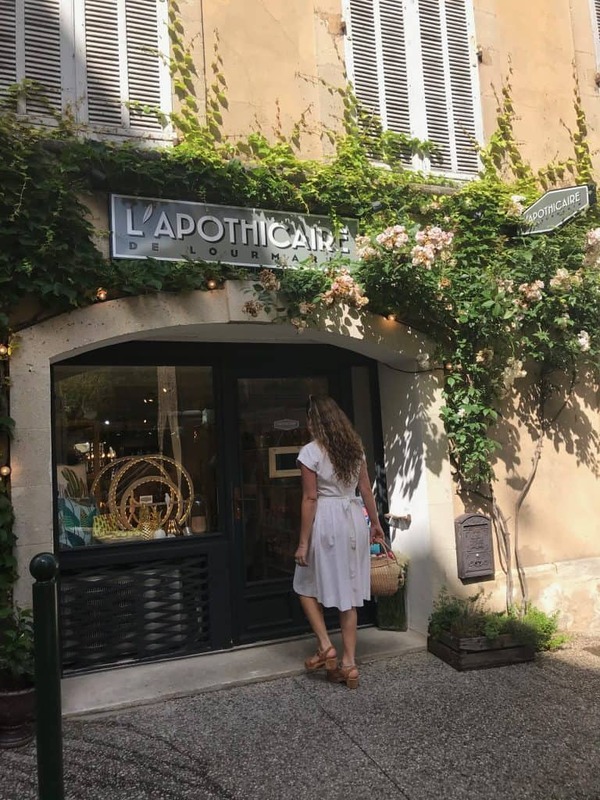 After seeing a chic older French lady in white linen…I bought a white top here in Lourmarin (35 euros). 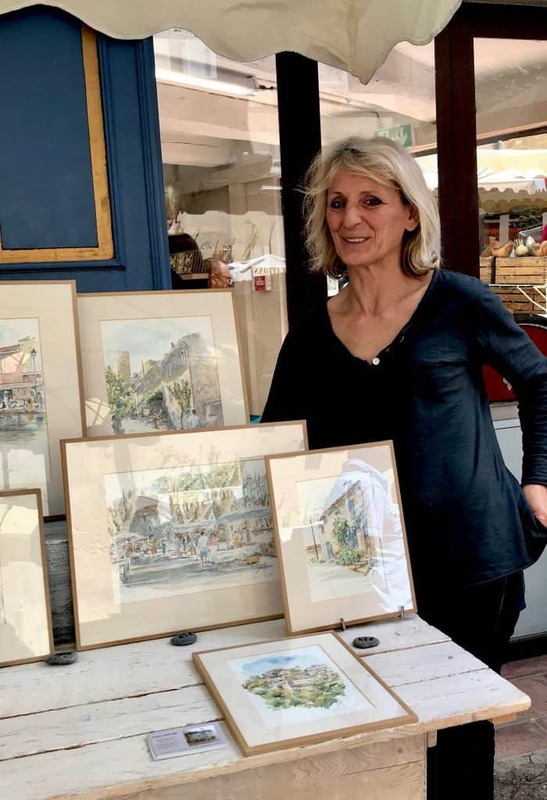 Here is a local artist, Argane Sopher displaying her watercolors of the villages around Provence. Here are some things I wore on the trip… I really recommend the sandals… I could walk on cobblestones all day and the price is not bad. 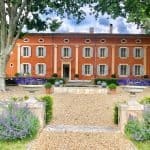 There is more to tell you about the trip…especially about the fab bastide (French manor house) where we stayed. Au revoir for now! Everyone plans their own travel…and then you have to have a husband like mine who enjoys planning trips for all his college buddies in his spare time 🙂 His hobby…that and cooking. I’m lucky. Thanks, Gayle. 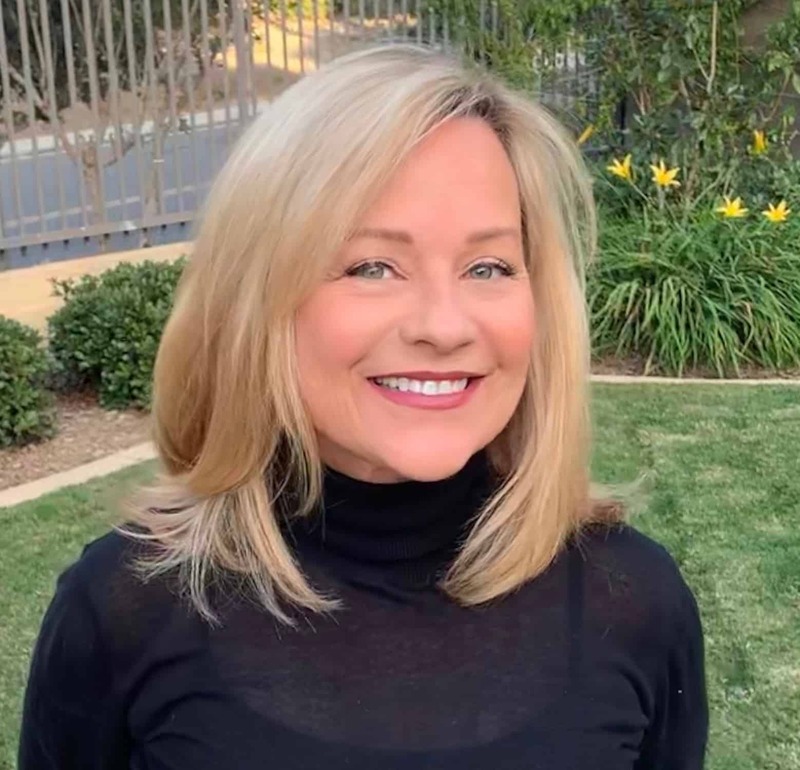 My sentiments exactly Gayle, Mary Ann doesn’t need makeup, she looks beautiful without it. Ha! You guys are so nice! Loved your daughter’s dress. Where did she purchase it? Zara and the straw bad she got at a vintage store. Sunday markets are so welcome because usually most businesses are closed. The French family dinner on Sunday is sacred, and the idea of making anybody work that day is beyond contemplation. I have had one of those squishable raffia hats for over a decade and it’s still in great shape. Indestructible. Great buy! Love your linen dress. Perfect for summer. I used to love seeing people carrying flowers on Sundays for their family dinners. Love the hat and linen dress. 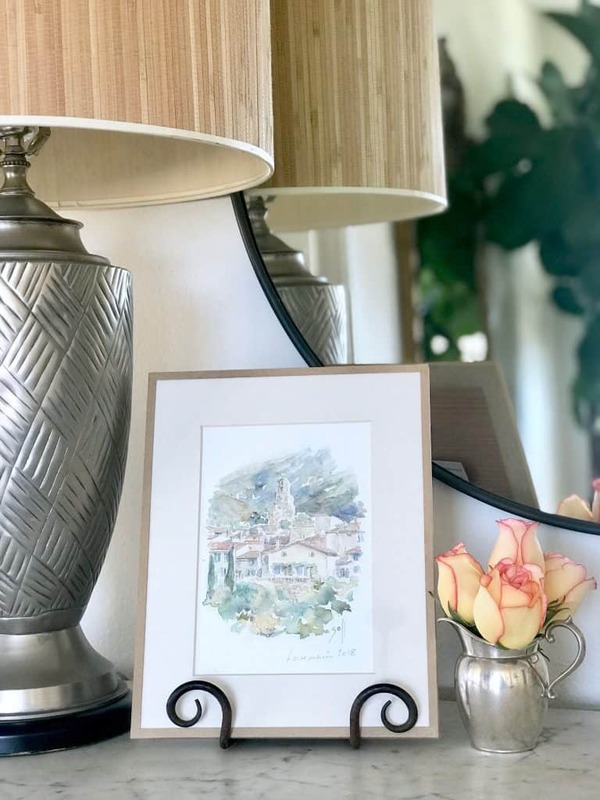 Adore watercolor art. Who is the artist? Good point, Roxanna. I will add that to the copy of the post. Loved going on this trip with you. Beautiful photos. I always love going to markets when I travel. Love this post! My husband and I are going in 2 weeks, so we’ll definitely check out your recommendations in Provence. Staying at the Hotel Baltimore in Paris when we arrive – can’t wait! We stayed at the Hotel Baltimore, too, Robin. We loved it! Have fun! What a fantastic trip Mary Ann! I have spent a good deal of time in the South of France but never to these places. Now you’ve got me itching to return! I LOVE that black linen dress!! My only comment is that Roussillon is just so crowded with tourists! Oh those dreaded busses. We’ve been on October and it’s so much calmer and more manageable! But, of course, I love all these villages any time at all…. 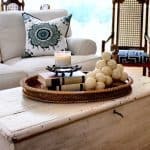 Can you please share where your cute flat sandals are from? And your jeans! Love the wash. Also, so glad to see you carrying that Longchamp. I have had one for YEARS and I think it still looks great. 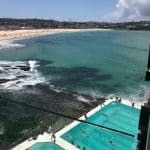 Looks like an amazing trip! Thank you! Can you please share where your cute, flat sandals are from? And your jeans! Love that wash. Also, love seeing you carrying that Longchamp. I have had one for YEARS and I think it still looks great. Looks like an amazing trip! Thanks! Thanks, Stephanie… There are links with little photos at the end of the post. I make a tiny commission which helps pay for the blog costs (lots of monthly charges that add up–boring technical stuff. What a perfect trip! Love your pic in the dress too. 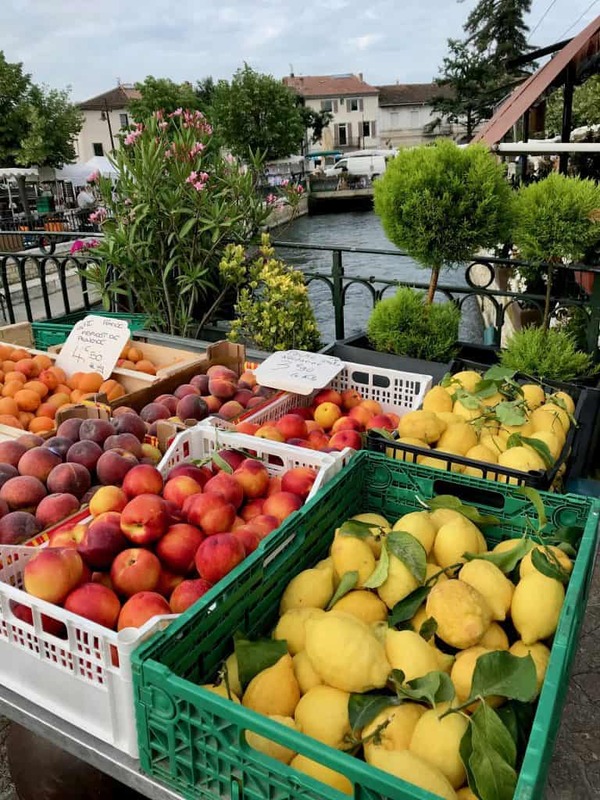 Great tips for exploring the French countryside. Thanks, Carla. We want to go back! 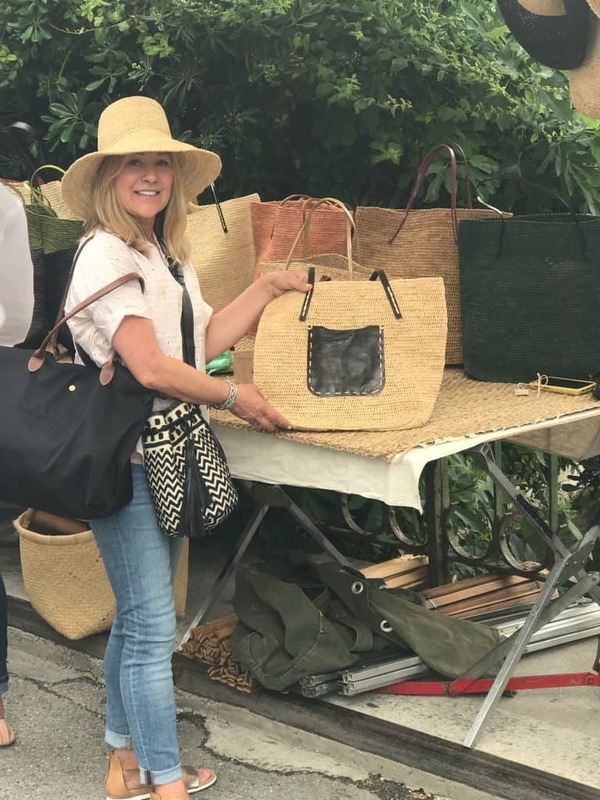 I love the markets in France, and Italy and every other country that I have traveled. Your trip looks beautiful and I am sure it was a wonderful time. 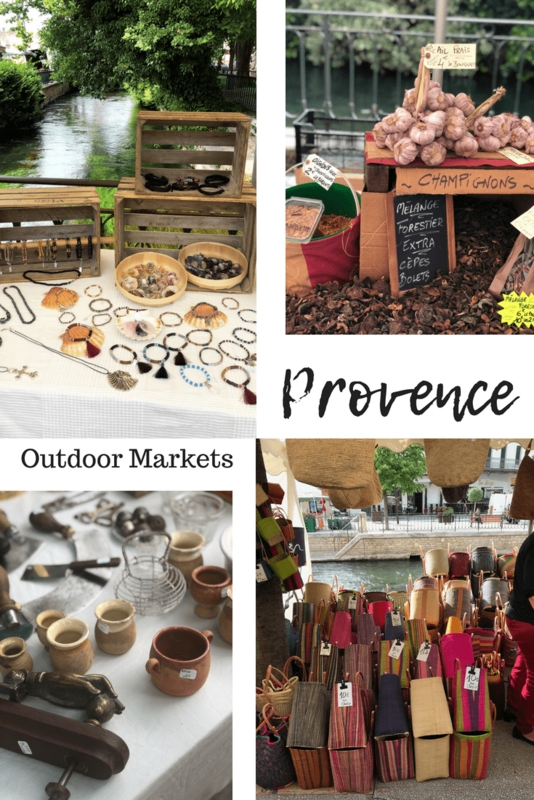 Thanks for sharing these markets, I love Provence and cannot wait to go back. Oh my I wanna go, I wanna go…looks like so much fun! We have to go next Spring! I want to jump on the next flight! in your eyes, I am so excited to go this fall & hope the markets are still up & running. IS THAT 10 EURO for the colored baskets?????????????????? Good thing I was not in your group or you ALL would have been toting a few for me! 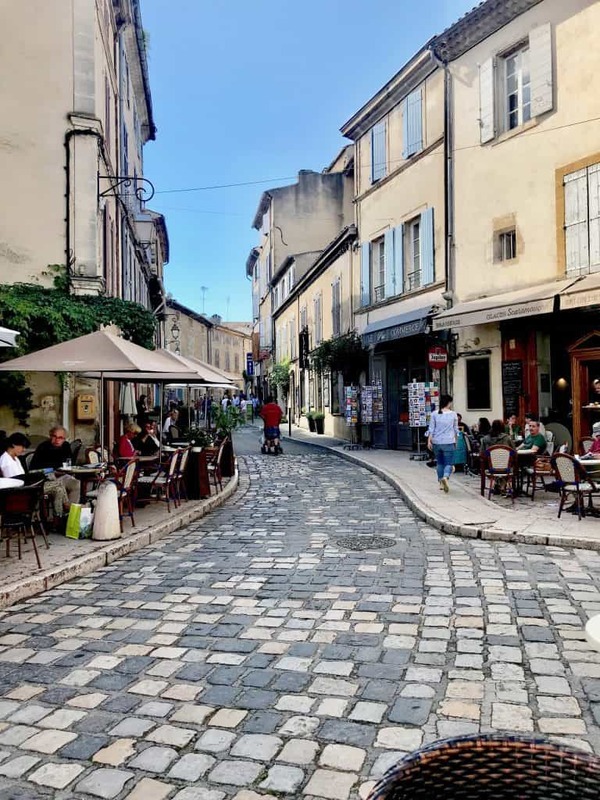 I love ISLE DE SORGUE as I call it……………..been there 4 times.Kidnapped THE ITALIAN once when we lived in ITALY and we drove there for the weekend!LONG DRIVE!!!!! 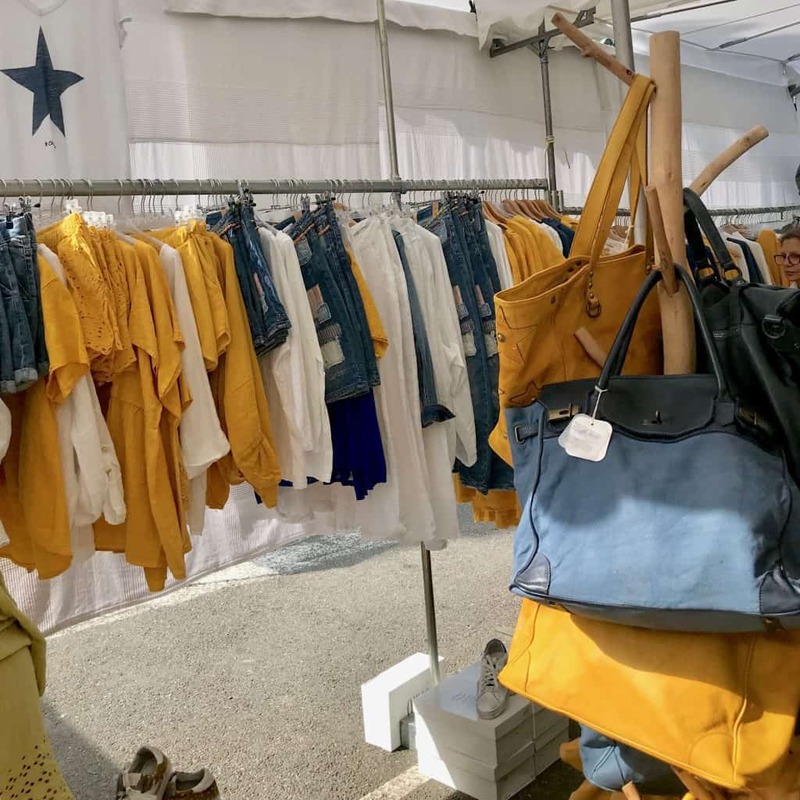 I have a few things I purchased there…………..
Looks like a GREAT TRIP and YOUR DAUGHTER is a capitol WOW!!!!!!!!! So much fun to enjoy the trip with you! It makes me want to go back again! I bet you will find lots of things you like, Kim! Bon voyage! Man I am jumping on those sandals right now! You know I am all about comfort AND style! 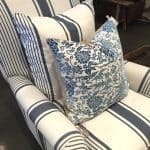 And all the linen….yes please! I just got them in black too. Hope you like them. They weren’t comfortable on my sister…but REALLY comfortable for me. nice price. Love love your navy blue dress, looks linen. Where did you get it? Did not see a link for it. It’s looks so chic and casual. Thank you! 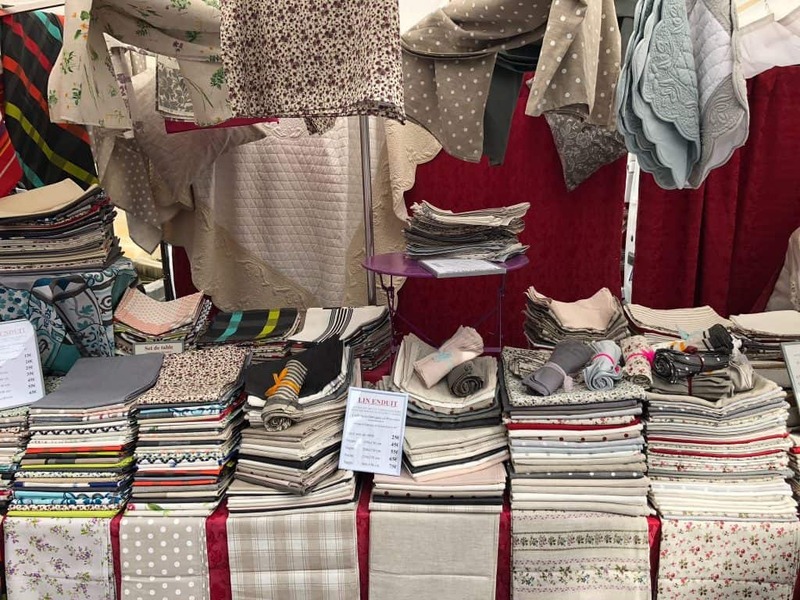 I actually bought at the outside market at Isle sur la Sorgue.